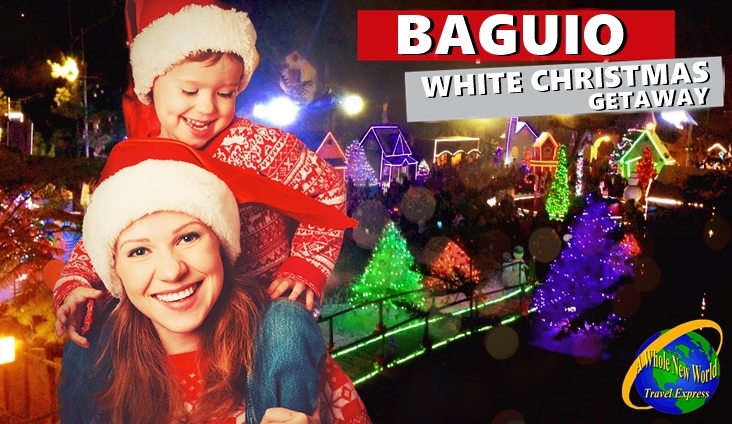 Includes: per person rate for an Overnight Baguio experience with round trip transfers from Manila, accommodation, and city tour plus side trip in Baguio Christmas Village! Cold, biting Christmas breeze, flamboyant bright neon lights, carolers croon around, decorations that give life to the season; these are only a few things that marks the most wonderful time of the year. Baguio City is undeniably one of the top destinations to visit during the Christmas season. The inviting cold weather is an all-year trademark of the city; however, it is during December that it is best highlighted. Though we don’t experience snowfall, people still wear their winter garbs fit for the chilly ambiance of the city. There are also a lot of activities set forth to celebrate and to uplift the festive mood of the Yuletide season.